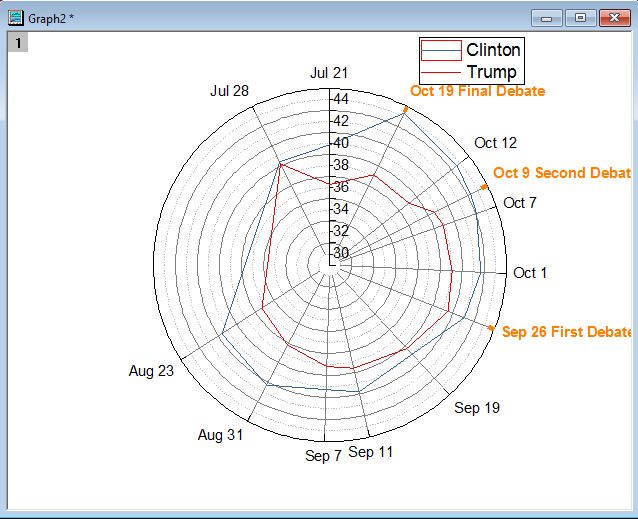 Radar chart, also known as Spider Chart, is a graphical method of displaying and comparing multiple quantitative variables. 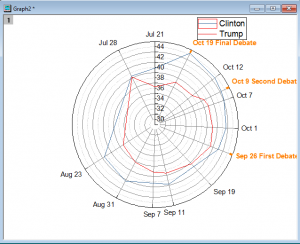 In a radar chart, each variable value is plotted along its individual axis that starts from the center of the chart. Usually, each the axis are evenly spaced around the circle, however sometimes you may want unevenly spaced axis to better reflect relations of the axis, e.g. in the following case, we’d like unevenly spaced axes to better reflect the timeline of each event. Unfortunately like many other softwares, Origin’s radar chart doesn’t support unevenly spaced axis. But Origin’s polar chart can be a perfect workaround for this. 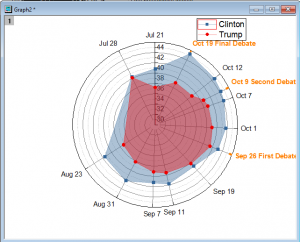 This blog will show you how to create such a graph using plot chart. The project is available to download from here. 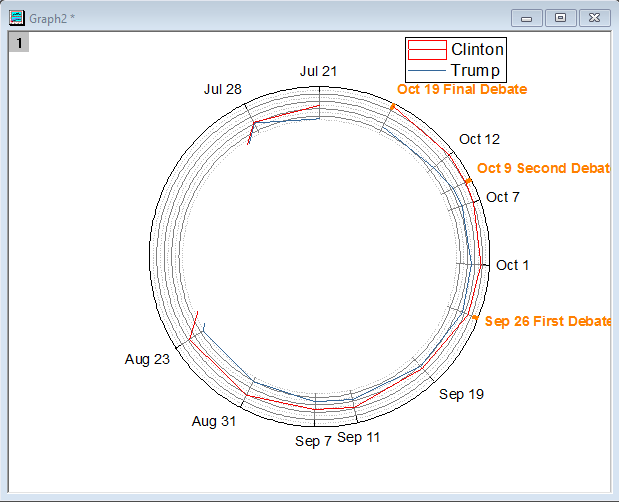 Sample data is national polling averages for the presidential race from http://www.usatoday.com/pages/interactives/2016/election/poll-tracker/. Please note that we copied 1st row of data to last row so that it will be plotted as an enclosed fill area. Let’s make a Polar graph first. Go to Sheet1 and highlight both column B(Y) and C(Y), then plot from menu Plot: Polar : Polar theta(X) r(Y). By default Polar graph use degree as unit and 0-360 defines a full circle. But you can define a circle with any value range. And we can also define where the circle start at. 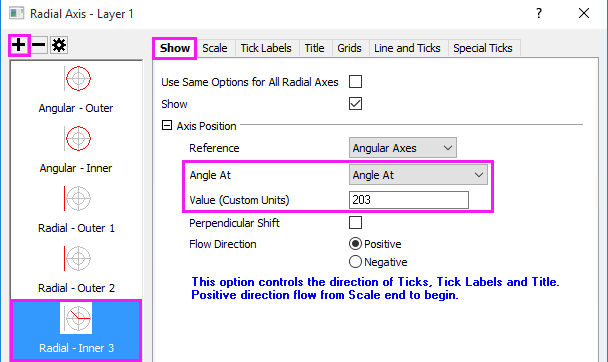 Double click on the tick labels around the curve to open the Axis dialog. Go to Show tab and make sure Angular-Outer is selected in the left panel. 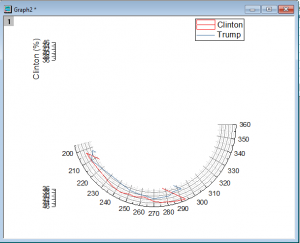 Change Axes Start at(deg.) to 90 in the dropdown list. Click Apply. 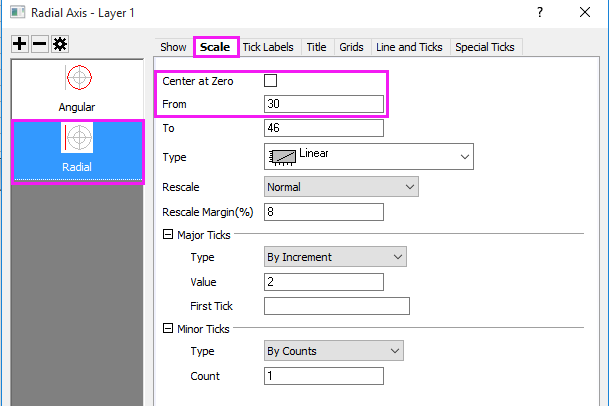 Then go to Scale tab, under Units Definition node, change Units to Custom. 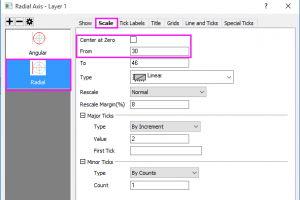 Set Circle Start Value as 203 and Circle End Value as 300. Also set From and To to 203 and 300. 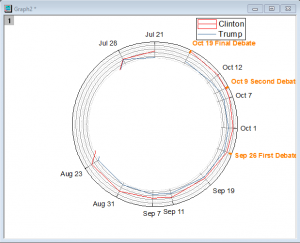 This will draw the data as a circle. 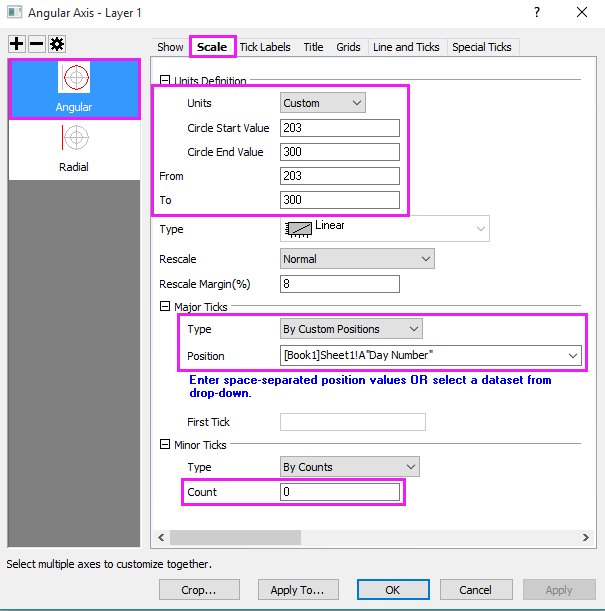 Change Major Ticks Type to By Custom Positions and set Position as [Book1]Sheet1!A”Day Number” so that the angular axes are plotted on days in column A. Change Minor Ticks Count as 0. Click Apply. Still working on Angular – Outer axis, go to Tick Labels tab, change Display Type to Text from dataset with Dataset Name as [Book1]Sheet1!D”Date”. Click Apply. The Date in column D will show as tick labels. 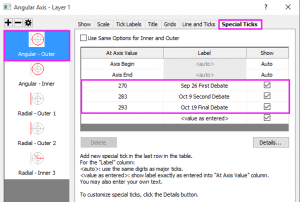 The Last step for customizing Angular – Outer axis is to highlight 3 debate date. 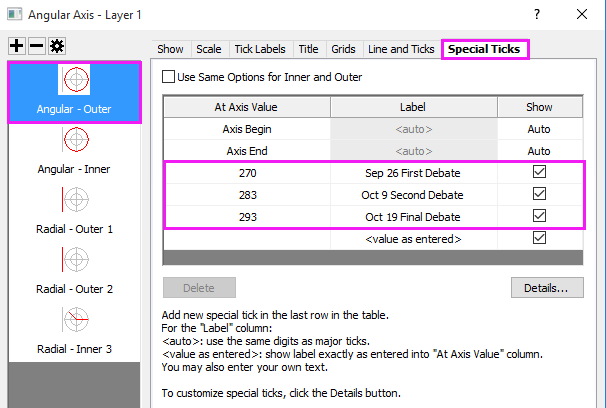 Go to Special Ticks tab, add three special ticks At Axis Value of 270, 283 and 293 with Labels as Sep 26 First Debate, Oct 9 Second Debate and Oct 19 Final Debate respectively. 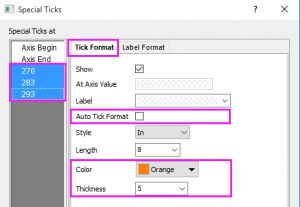 Then click Details… button to open Special Ticks dialog. 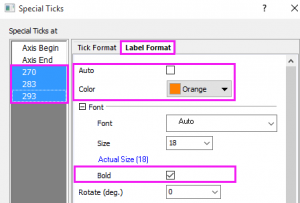 In the dialog, hold Ctrl key and select Special Ticks at 270, 283 and 293 to customize those ticks together. 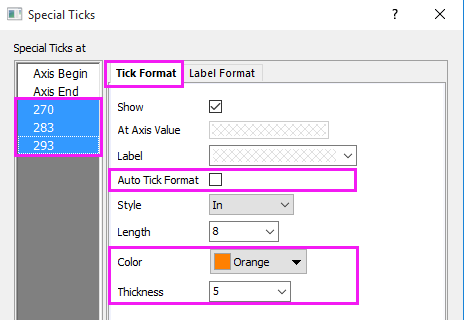 In Tick Format tab, uncheck Auto Tick Format checkbox first, change Color to Orange and set Thickness to 5. In Label Format tab, uncheck Auto checkbox and change Color to Orange as well, check Bold checkbox. 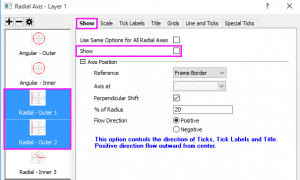 Click Ok to close the Special Ticks dialog. Click Apply. Click Apply. You should get a graph as the following. 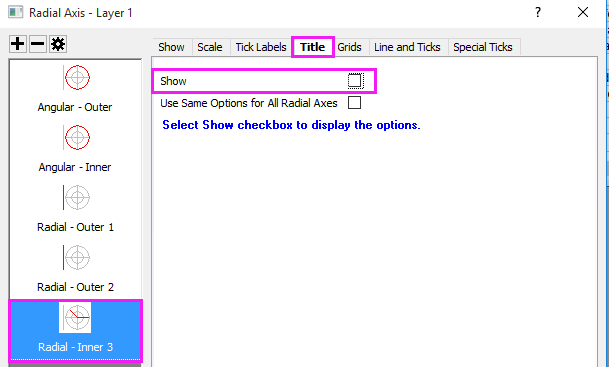 Click on the + button on the upper left corner of the dialog to add Radial – Inner Axis 1 will be added in the left panel. 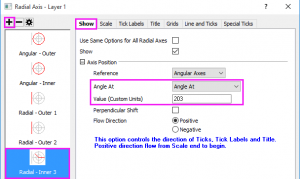 Select it and go to Show tab, you can see Axis Position: Angle At is set as Start Angle. Click Apply. 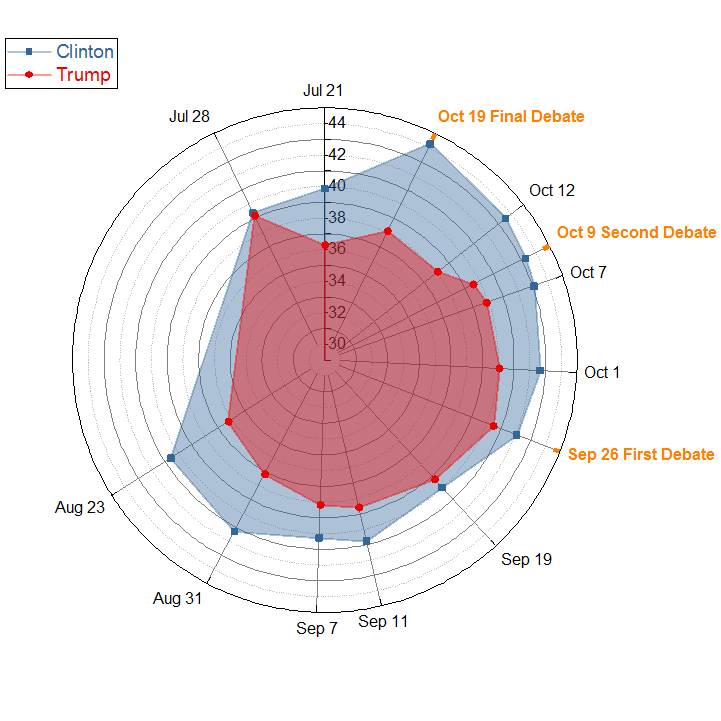 U can see the axis is added at 203 which is the start value of the circle we defined. 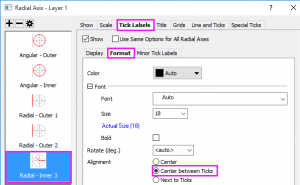 Go Tick Labels tab, then go to Format tab, set Alignment as Center between Ticks. Click Apply. Go to Title tab, uncheck Show checkbox. Click Apply. 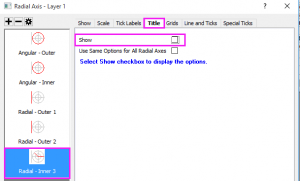 Go to Scale tab, make sure Radial axis is selected in the left panel, uncheck Center at Zero fist, then set From equals 30. Polar center will start with 30. 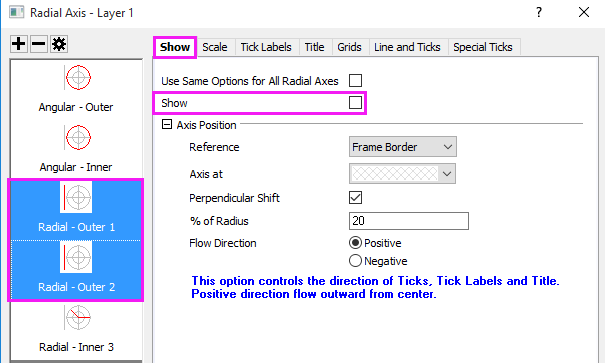 Click Ok to close the Axis dialog. Now, you should get a graph as the following. 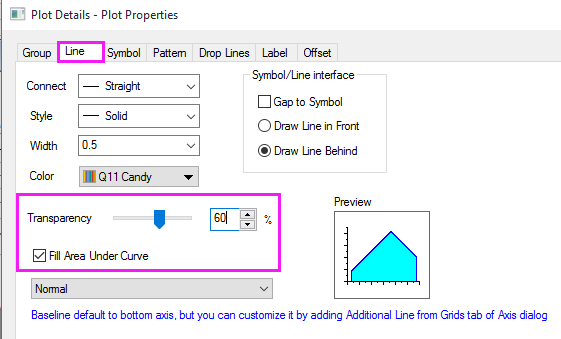 For further customization, click the Line + Symbol button in the bottom 2D Graphs toolbar to change the plot type to Line + Symbol. 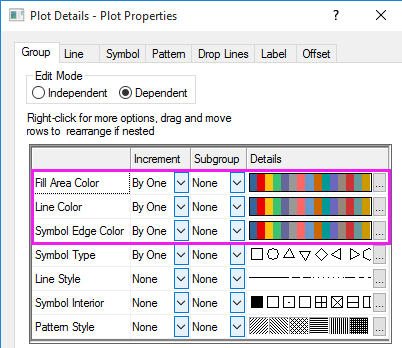 Double click on the graph to open the Plot Details dialog, select the first plot in the left panel, go to Line tab, check Fill Area Under Curve checkbox and set Transparency as 60%. Click Apply. 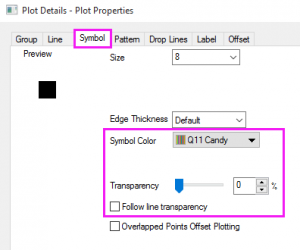 Go to Symbol tab, set Symbol Color as By Plots with Increment list as Q11 Candy, uncheck the Follow line transparency checkbox and set Transparency back to 0. Click Apply. Go to Pattern tab, set Fill Color as By Plots with Increment list as Q11 Candy as well. Click Apply. 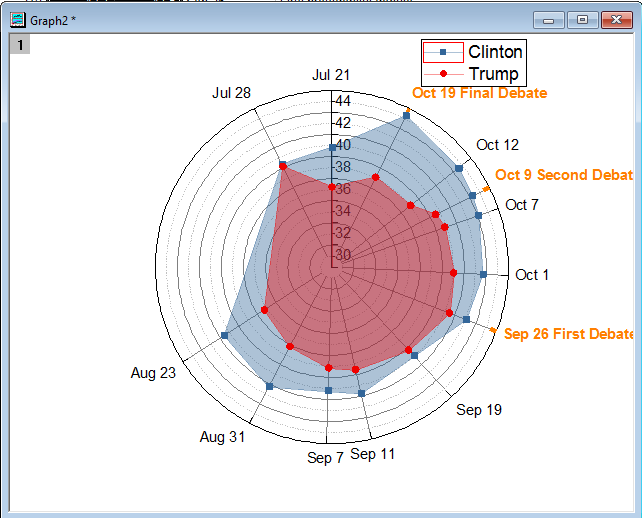 If you want fill color of Clinton’s data (1st data) show as blue and Trump’s show as red, go to Group tab, change Details of Fill Area Color by clicking on the … button next to the color list to open the Increment Editor. 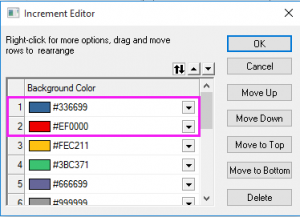 Single click on the second color #336699 then click Move to Top. Click Ok to close the dialog. 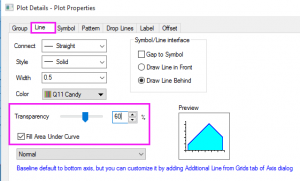 Repeat this step for both Line Color and Symbol Edge Color. 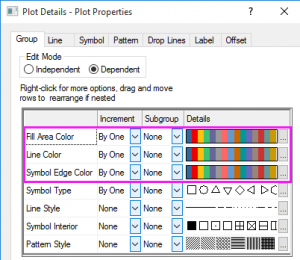 Click OK to close the Plot Details dialog. Now, you should get a graph as the following. Almost done! To remove the red rectangle in the Legend box, open the Plot Details dialog again. 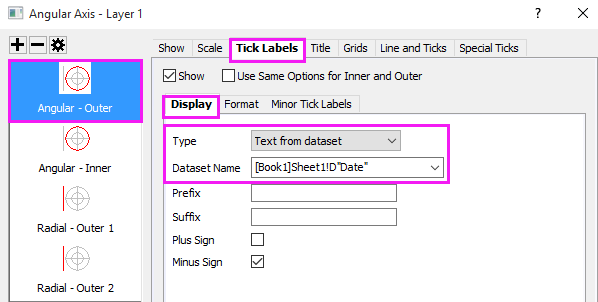 Select Graph in the left panel so that the dialog shows Page Properties, go to Legends/Titles tab, then uncheck Indicate Active Dataset checkbox. Click OK to close the dialog. 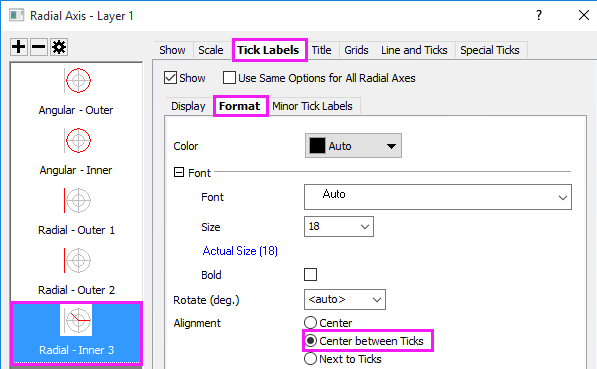 Some tick label runs into gray area of the graph window (not printable area). Right click in gray area and choose Fit Page to Layers… context menu to resize the page so all graph elements are within the white area of graph window. Move legend to the upper left corner of the graph. Right click the legend and choose Legend : Text Color Follows Plot so legend text follows the legend symbol color. Now you should get a graph as same as the first image of this blog. Thanks for reading our blog and hope it is helpful for you.